LAWRENCE — A University of Kansas professor whose courses analyze hip hop culture and a professor who has quantified the art of flirting were honored with teaching awards during the 2015 KU Teaching Summit in August. Associate Professor of Theatre Nicole Hodges Persley received the Byron T. Shutz Award for Excellence in Teaching, and Associate Professor of Communication Studies Jeffrey A. Hall received the Ned N. Fleming Trust Teaching Award. The Shutz award was established by the late Byron T. Shutz in 1978. Faculty members are nominated for this annual award by deans, department chairs or faculty colleagues. The honoree receives a one-time stipend of $4,000 and delivers a public lecture later in the academic year. The lecture is followed by a reception in the recipient’s honor. Hall also expressed appreciation for the recognition. The Fleming award was established by a bequest from the late Mr. Fleming of Topeka. Faculty members are nominated for this annual award by deans, department chairs or faculty colleagues. The award includes a one-time stipend of $5,000. Nicole Hodges Persley has been at KU since 2009 and is an associate professor in the Department of Theatre. The nomination describes Hodges Persley as the exemplar of the scholar-artist, who brings both sides of this profile to bear in an approach to teaching that is uniquely imaginative, playful, intelligent and demanding. She focuses on clear goals that lead to better course content, new preparation of courses to meet student and department needs, and reflection on teaching practices. Students call Hodges Persley a life-changer – a faculty member who encourages students to be true to themselves but also finds ways to get students to deliver more than they thought possible. Hodges Persley’s research addresses the effect of racial, ethnic and national identity on performance practices in theatre, television and film. Her forthcoming book “Sampling and Remixing Blackness” examines the effect of African-American expressions of blackness in hip hop on the artistic practices of non-African-American artists in theater, conceptual art and dance in the United States and England. Hodges Persley has lived and conducted performance research in Paris, Dakar, Senegal and in Regensburg, Germany. She is one of the founding program directors of the Hip-hop Archive at Harvard University’s Hutchins Center for African and African American Research. An artist scholar, Hodges Persley is a member of SAG/AFTRA with professional credits in theatre, television and film. Her performance and directing work have been featured at the Kansas City Fringe Festival, the California Hip Hop Theater Festival, The Hammer Museum and Highways Performance Space. 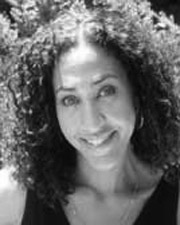 She has been a featured contributor for American Theatre magazine and has published book chapters on hip hop theater and articles on Tyler Perry, Jay-Z and Suzan-Lori Parks, with forthcoming work on Drake and Idris Elba. She earned her doctorate in American studies and ethnicity from the University of Southern California in 2009. 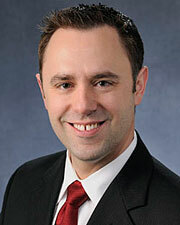 Jeffrey Hall arrived at KU in 2008 and is an associate professor of communication studies. His nomination highlights Hall’s ability to enliven course content and make students more receptive to learning. Within the department, he has been a leader in course redesign that promotes active student learning, and his efforts evoke in students a strong desire to learn. Just as important, the nomination notes, Hall has been a leader across the university in developing assessment techniques and rubrics. Hall also was instrumental in the comprehensive redesign of the communication studies major, helping faculty identify key ideas, consider alternative delivery methods and address organizational change. He has been described as a superb teacher and a principled, enthusiastic teaching innovator. Hall has been involved in first-year seminars, participated on the Common Book Program Steering Committee and is a faculty fellow at the Center for Undergraduate Research. He has been an ambassador and a teaching fellow with KU’s Center for Teaching Excellence. He is the author of the 2013 book “The Five Flirting Styles: Use the Science of Flirting to Attract the Love You Really Want.” He has also produced more than 40 articles and book chapters on humor in relationships, making and keeping friends, and social networking and Facebook. He is an internationally recognized expert on flirting styles and has been interviewed around the world about his work on flirting and romance, including by National Public Radio, Cosmo, Men's Health, USA Today, Women's Health, Time Magazine, The Wall Street Journal, U.S. News & World Report and CNN. He earned his doctorate in 2007 from the Annenberg School for Communication at the University of Southern California.